A merchant banker turned social activist, Michael Norton has devoted the past 30 years to running voluntary organisations, picking up an OBE on the way for services to charity. Michael transformed the charity world in the UK by setting up the Directory of Social Change and has initiated a raft of interesting and effective projects worldwide. These include: A banking system for South Asian street children; village publishing and libraries in India; the unLTD Foundation for social entrepreneurs; the Centre for Innovation in Voluntary Action (CIVA) to promote innovation and new ideas for voluntary action; the Youthbank scheme to give young people the chance to donate money to local causes; and an international summer school for young activists from over 40 countries, Young People Change the World! Michael Norton is a man intent on changing the world – and enlisting others to do so on a daily basis – and for this he has won numerous awards. His new venture has won numerous awards for his contributions to improving the world. His initial belief in Sing London was significant in helping to propel the project forward. Alastair is a Chartered Surveyor, holds a Master’s in Real Estate Development and for many years has worked as London’s Investment Manager for Westminster City Council. An expert on property investment, he helps enable Sing London’s work with local authorities. He also brings robust reason and logic to to the organisation! A father of three, Alastair enjoys travelling and has recently developed a passion for the Middle East . . . or for that matter anywhere that is warm and scuba diving is available. For 16 years Eddie worked at the BBC producing programmes for the History, Documentaries and Feature Departments. As deputy Editor of UK Horizons Eddie led one of the BBC’s first forays into digital television. Eddie then moved onto become a Development Executive for BBC Imagineering, a blue sky thinking research and development hub set up by John Birt. Currently Director of Communications for the Diocese of Westminster, Eddie is also the Vice Chair of Governors at Mount Carmel Primary School Ealing, Director of the pro public service broadcasting lobby group VLV and a member of TfL’s Surface Transport Design Forum. Alice graduated from Goldsmiths (Department of Politics) and began her working life in Corporate Account Management with a communications company, working with Financial Services clients such as Deutsche Bank and Merrill Lynch. During this period, Alice recognised the perils of the corporate workplace and subsequently launched a wellbeing consultancy, providing workshops and services in-house for Red Bull, McKinsey and Unilever. Concurrently Alice trained as a coach, specialising in talent management and work performance and regularly coaches within a variety of creative organisations to this day. Alice is Founder and Operations Director of Creative Nation. Creative Nation provides production consultancy and project management of creative output. With a unique business model, Creative Nation utilises a network of professional creative talent and works across industries. Alice is one of life’s natural networkers and organisers and has been an active supporter of Sing! since she met us during the Street Pianos. Alice confidently mobilises her network of broadcast, corporate and creative professionals in support of our objectives, with an enviable level of energy and creativity. Stephen Haggard joined Sing London’s board in 2011 to provide the skills of a digital native and enhance the web and mobile dimensions of our activity. 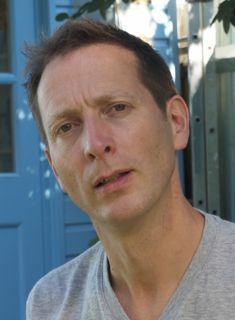 Stephen led the BBC’s partnership with the Open University from 2001-2005. He oversaw the ending of a 40-year tradition of overnight broadcasting and moved the learning brand into digital and mobile. Since then, he has delivered digital transformation projects for The Cabinet Office, Universities including London Cambridge and Oxford, and brands from SpecSavers to Crufts Dog Show. He co-founded Cambridge Personality Research in 2011, which trumpets the charge for a technology revolution that will ensure social media content is relevant to the individuals who read it. As an expert in e-learning, he consults for clients ranging from professional associations to commercial online platform providers, and from educational sites to government departments. Stephen also has a stake in Developing World issues. He is an advisor in the World Wide Web Foundation’s programme of supporting tech start-ups in Africa, and mentors several digital companies in Nairobi. He consults for Chinese tech companies on developing products and services in Africa, and for the GSMA’s Mobile Development Intelligence initiative. Eddie Berg is Artistic Director of BFI Southbank in London and was responsible for leading the £6.5m redevelopment of the former National Film Theatre site which opened in March 2007, attracting more than 1m visitors in its first year. Previously he was the Chief Executive of FACT (the Foundation for Art & Creative Technology) in Liverpool, which he founded and established in 1988. He conceived and led the development of the landmark £11.5m FACT Centre, which opened to public and critical acclaim in 2003. Penny Egan has served on Sing London’s board for 7 years. Although no longer a board member Penny supports Sing London offering guidance and advise. Penny Egan’s role in public service is a distinguished one –she joined the US-UK Fulbright Commission as its Executive Director in February 2007 after stepping down as the Executive Director of the RSA (Royal Society for the encouragement of Arts, Manufactures and Commerce) where she was the first woman to have led the RSA in its 250-year history. Penny is also currently Chair of the Geffrye Museum; a Trustee of DEMOS and a Member of the Council of the University of Warwick. She recently stepped down from the Design Council after serving for 9 years. She is an Honorary Fellow of the Royal College of Art and the RSA.